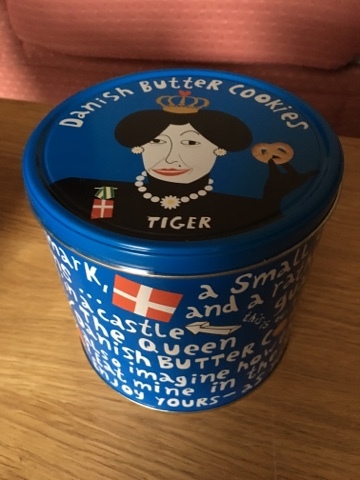 Recently I found out that the Danish store Tiger had opened a store in grand central - and as we spotted a lot of fun present ideas In the London store but didn't want to carry it all with us I made a special effort to visit last weekend. While I wont be sharing all the present ideas (probably just as well as the range seems to change daily) I will talk about the snacks. 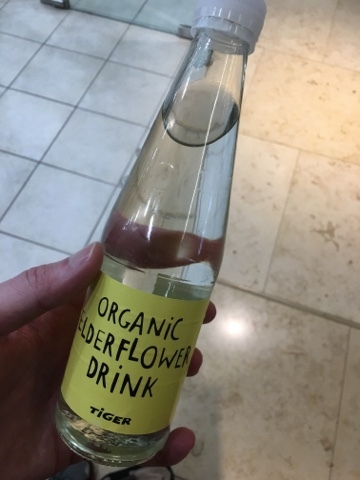 First up I needed a drink, and here is organic elderflower drink. A little less sweet than I'd expected but nicely floral. Not premium by any stretch of the imagination, but decent while out. 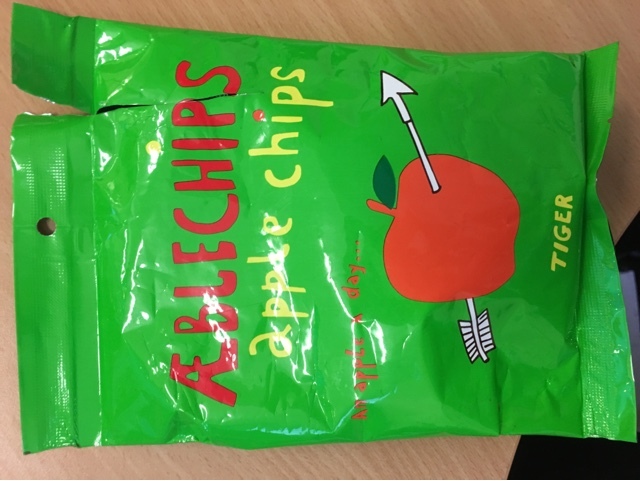 I also picked up apple chips. 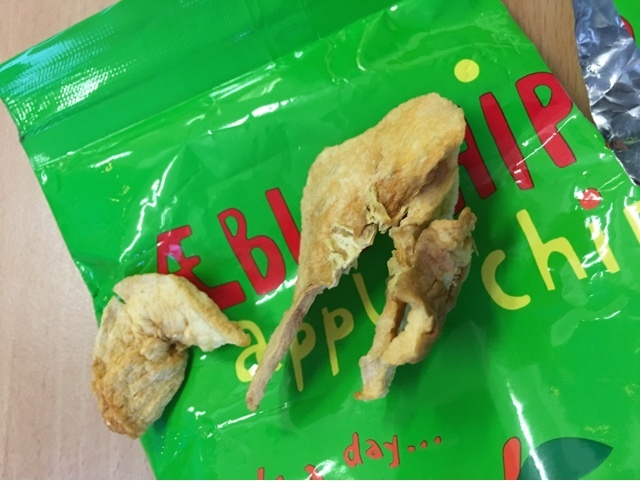 These were less pretty and less exciting than the ones I got from Glastonbury - but they were decent snack food. And so to the main event. 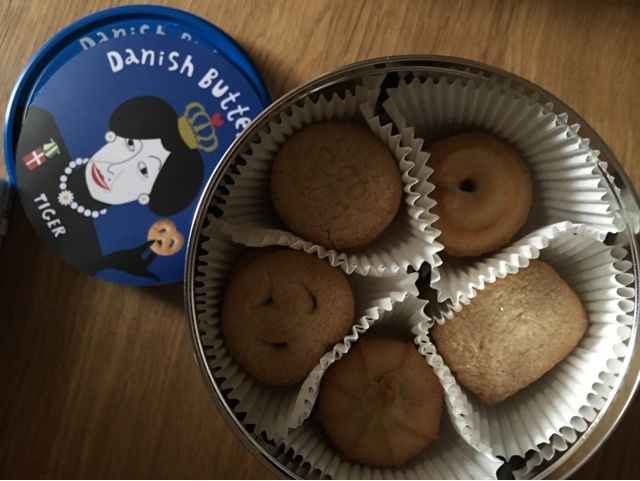 A couple of Christmases as a child I got given small tins of Danish Butter Biscuits. I'd tried to find similar many times but they just didn't taste the same as I remembered. Until now! These are probably a tourist staple in Denmark, but while we have a nice (but odd) shop selling these locally I'm going to stock up. They are just the right combination of sweet and sugary with that understated flavour and crumbly texture. Yum! Probably not for sharing. Tiger is like IKEA for little things you don't really need. That said I believe that these biscuits are the equivalent of the meatballs - that little something that keeps you coming back to the store time and time again.